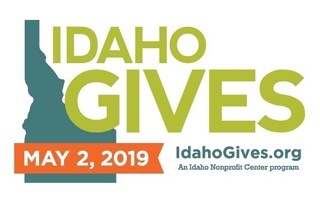 Cascade Lake 4-H Camp will be part of Idaho Gives again this year. Log in to support the Camp and other wonderful nonprofit groups on May 2, 2019. Thanks for your support! WHO: Anyone wanting to help with the work and enjoy good food and friendly people. 4-H’ers*, parents, clubs & groups are welcome. Cabins available for Friday & Saturday night, reservations required. Please RSVP no later than May 11. *All youth under 18 years of age must be accompanied by an adult. An easy way to contribute to Cascade Lake 4-H Camp! By simply specifying Cascade Lake 4-H Camp and its 501(c)3 nonprofit number, 82-0262849, on your 2019 United Way pledge form, you can direct all or a portion of your 2019 United Way contribution to the Cascade Lake 4-H Camp. Take advantage of this easy way of giving! Thank you United Way! Thank you friends of Cascade Lake 4-H Camp! Cascade Lake 4‐H Camp needs your support in raising funds for improvement projects that will ensure the camp is a safe, comfortable, and accessible facility for future generations of happy campers. Please join us for delicious Dutch oven tri‐tip dinner, live music, silent and live auctions, and fun activities for the whole family. Return the RSVP card or call Kathy Lauer at (208) 467‐3237 to reserve your spot. You can also email us at contact@cascadelake4hcamp.com. Please respond by September 28, 2018. If you are unable to attend but would like to make a donation, click here to make a one-time or recurring contribution. If you prefer to pay for your event tickets online via PayPal instead of mailing a check with the RSVP card, select an item from the following drop down list to begin.